B & B Accommodation in Fort William, Scotland. Welcome to Kilmalyn Guest House. Kilmalyn Guest House, Corpach, Fort William. B & B Accommodation. 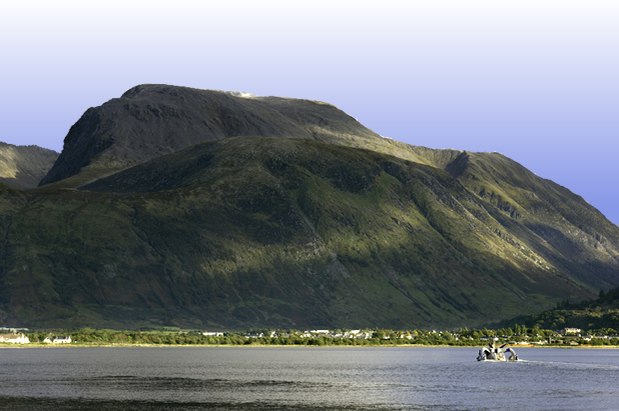 Bed and Breakfast accommodation close to Fort William, with fantastic views across the loch to the mountains beyond. We look forward to welcoming you to Kilmalyn Guest House soon. 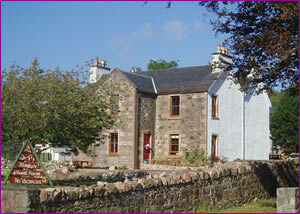 Kilmalyn Bed and Breakfast is a beautiful former Church of Scotland manse built in 1818. Restored and renovated to a high standard, we offer a high quality of bed and breakfast accommodation and a warm highland welcome. As our guests, we will be happy to help you get the most from your holiday. We can advise you on local places of interest and suggest trips to other parts of the Highlands. Located in the peaceful village of Corpach and overlooking Loch Eil, Kilmalyn Guest House is only a 10 minute drive from the town of Fort William. Enjoy fantastic views of Ben Nevis and the Nevis Range mountains and see the Jacobite Steam train pass our door during the summer months. We are open all year round and are the perfect base to enjoy Fort William and the West Highlands. We have 3 spacious bedrooms, all with en suite bath or shower rooms. Relax in your room equipped with TV and tea/coffee making facilities. Don't forget to try our delicious home made shortbread. All our rooms benefit from underfloor heating and free WiFi access. Toiletries are provided in all our bathrooms, and hairdryers in the bedrooms. Books of local interest and local tourist information are available for guests to enjoy. Relax in our dining room and enjoy the open fire. Choose from a light breakfast of cereal, yoghurt, fresh fruit or enjoy something cooked. Your beakfast will be made to order using local ingredients where possible and including eggs from our own hens. All served with fruit juices and tea/coffee. We can accommodate for specialist diets if advised in advance. We also have a two self catering holiday cottages, the first is a traditional cottage and the second a very cosy eco lodge. See www.fortwilliamcottages.co.uk for details.